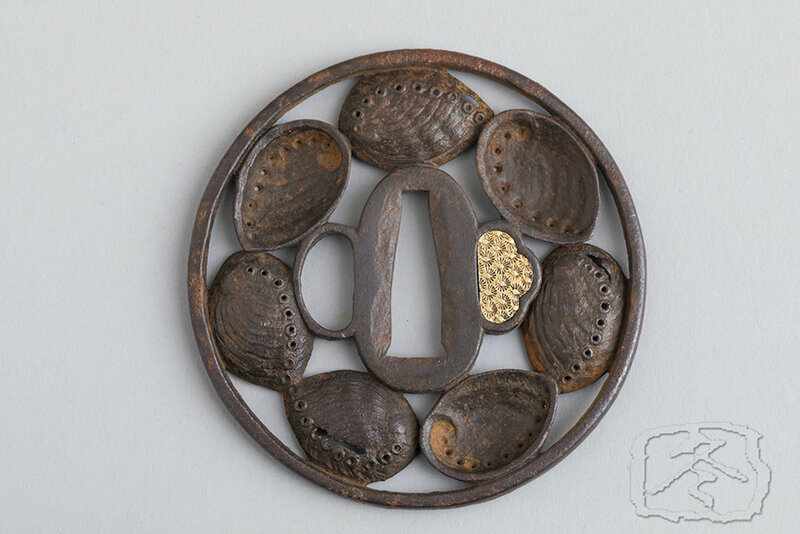 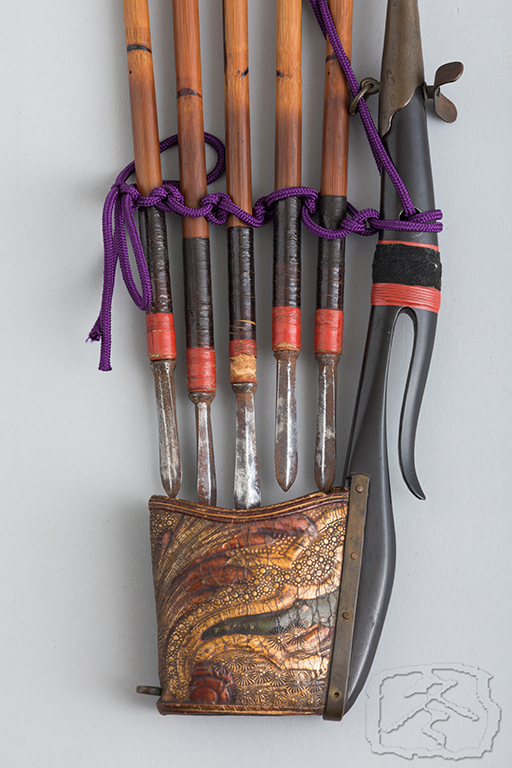 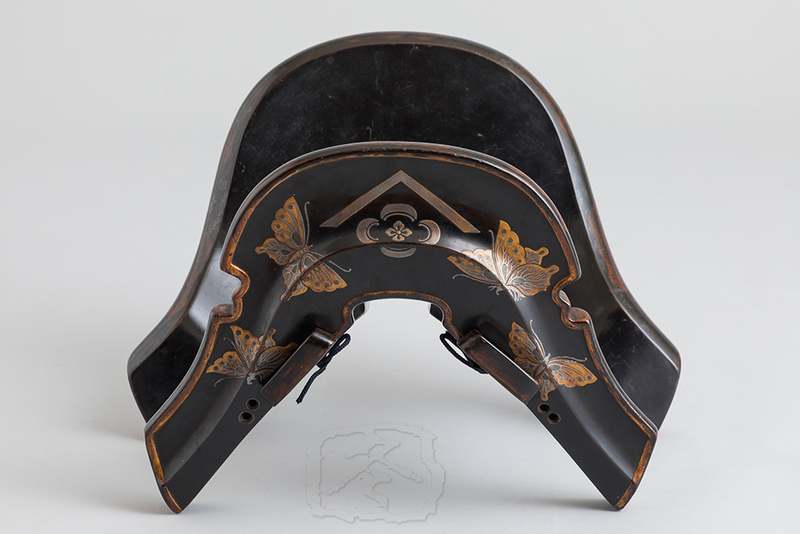 A ‘kinkarakawa ebira’ (gilded leather open quiver). 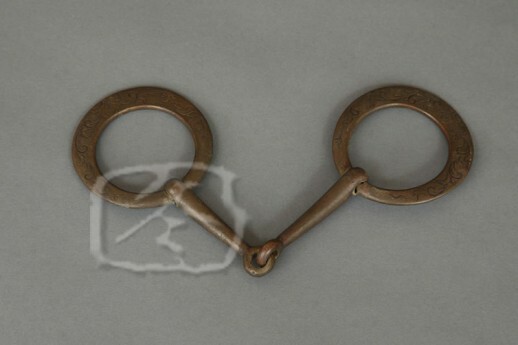 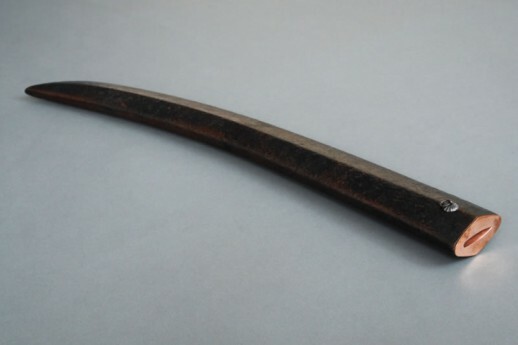 This material would have been at the time a very expensive import item from Europe. 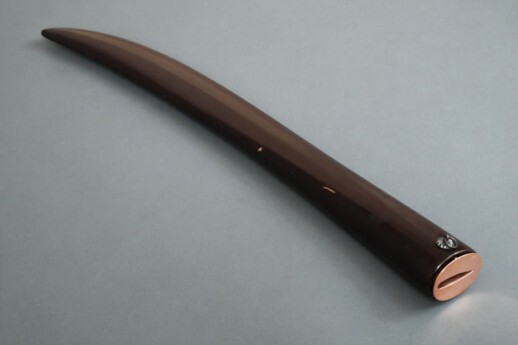 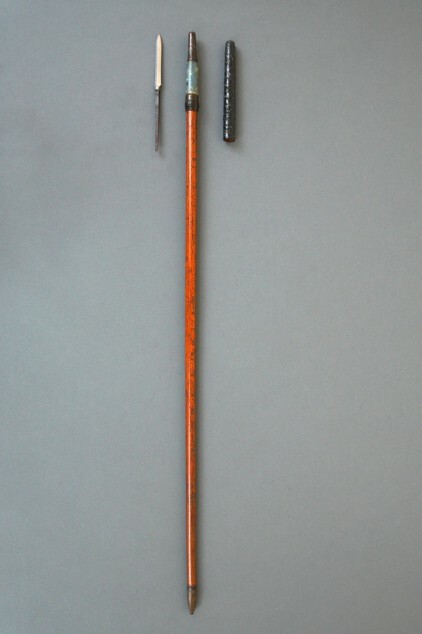 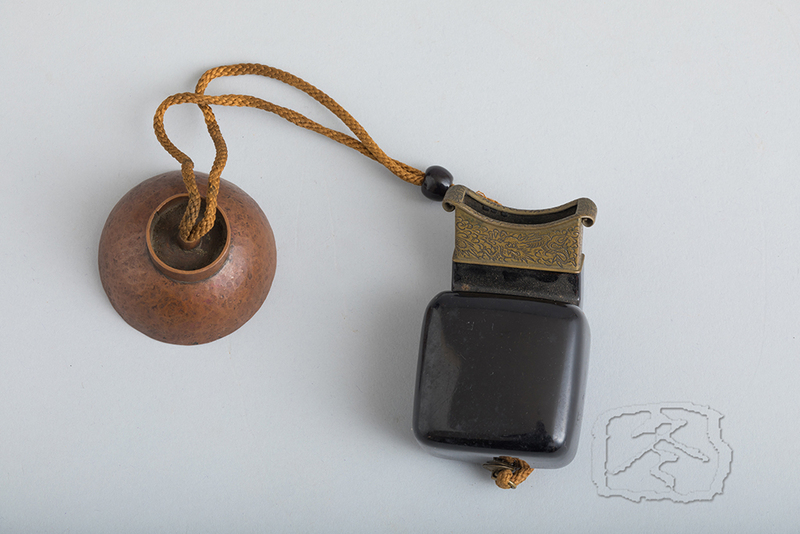 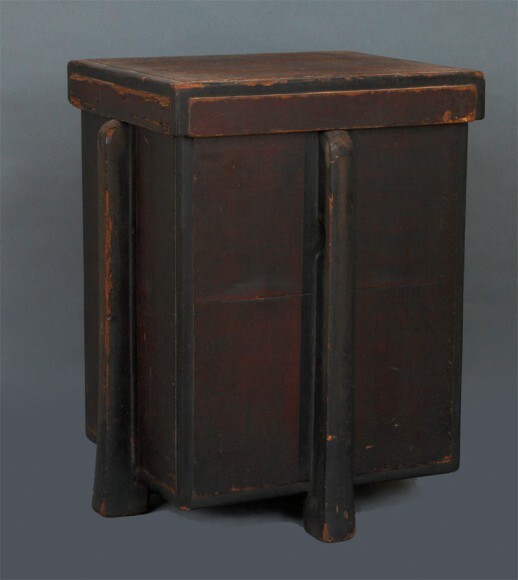 With black lacquered wood and whale baleen shaft, trimmed with copper fittings. 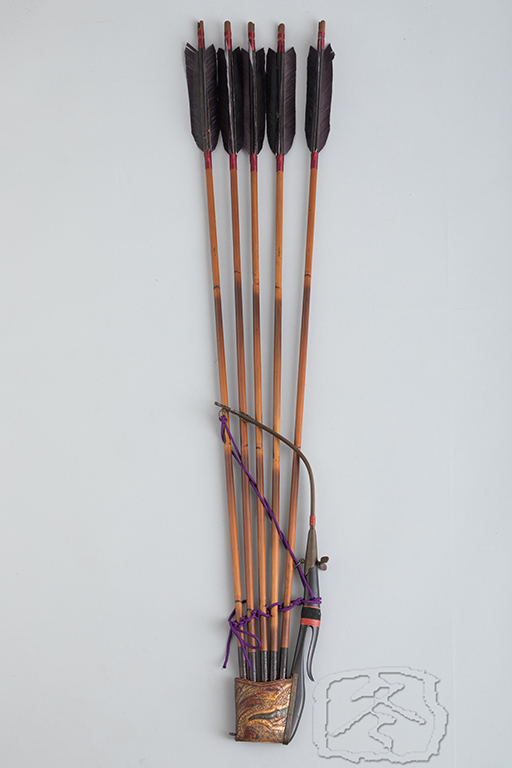 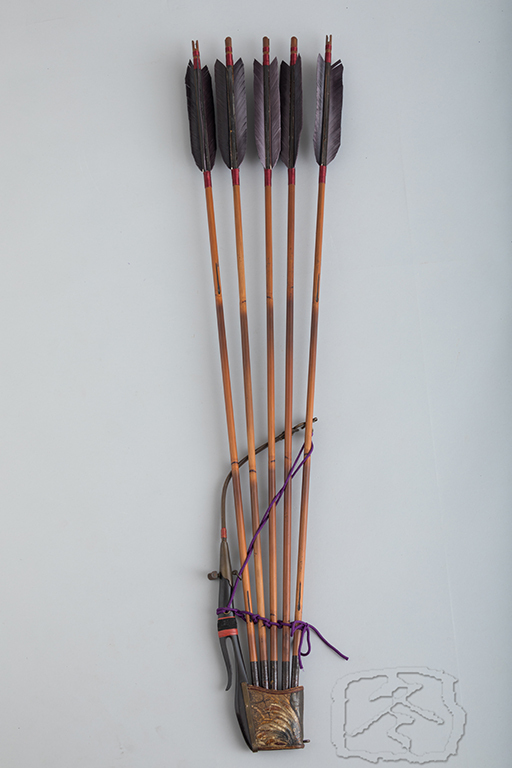 Five matching armour piercing steel tipped arrows accompany this quiver.